For Section 8 we look at the goat energy of grounded. What does it mean to be grounded? In many of the circles I hang out in, we often talk about how we need to stay grounded, that the energies around us can and do keep us off-balance otherwise. 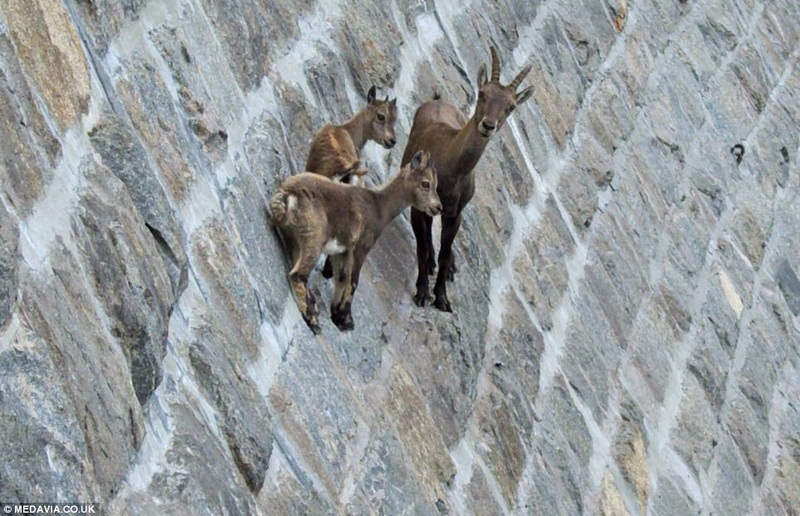 So when I look how these goats manage to calmly climb the sides of mountain cliffs and walls, I’m inspired by their grounded-ness…their amazing ability to fearlessly traverse what appear to be gravity-defying places. Lower Your Blood Pressure and Ground Your Energies with Donna Eden! Scissor Kick for Grounding with Titanya Dahlin! Grab a Spoon to Feel More Grounded with Dondi Dahlin! Keep your feet on the ground while reaching for the stars. Be sure to download/color the August 2015 Mandala of the Month.